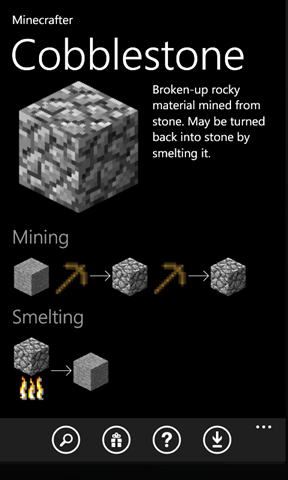 Minecrafter is an interactive guide for Minecraft. 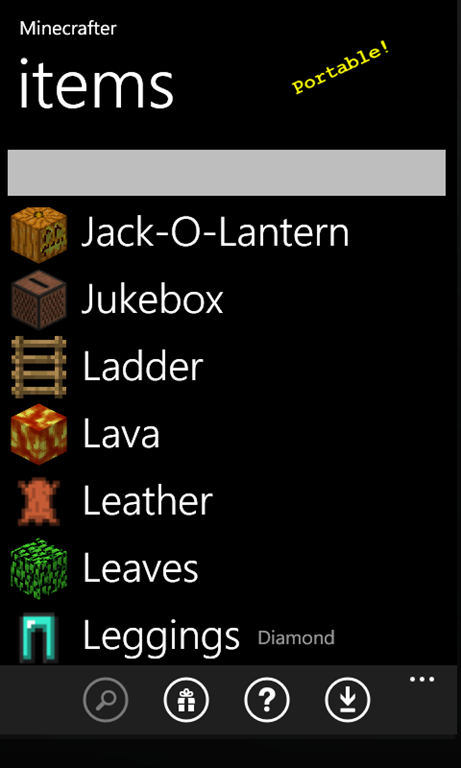 Every item, block, crafting pattern, and monster is described in detail in a beautiful, searchable interface. It’s also designed to help you find what you need faster. It’s not just a giant list of everything. 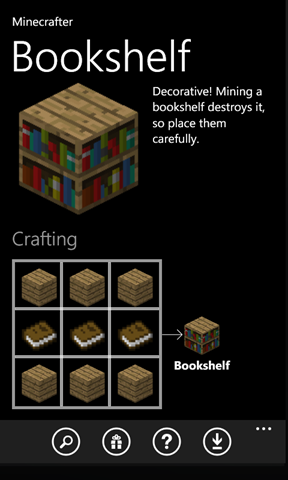 For example, every item detail page shows you not only how to craft or smelt that item, but items it can be used to craft or smelt. 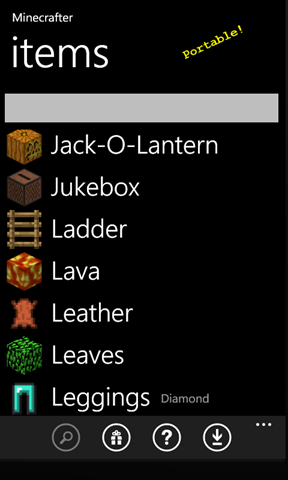 Every icon displayed can also be clicked on to navigate to that item, allowing you to quickly jump to related information. 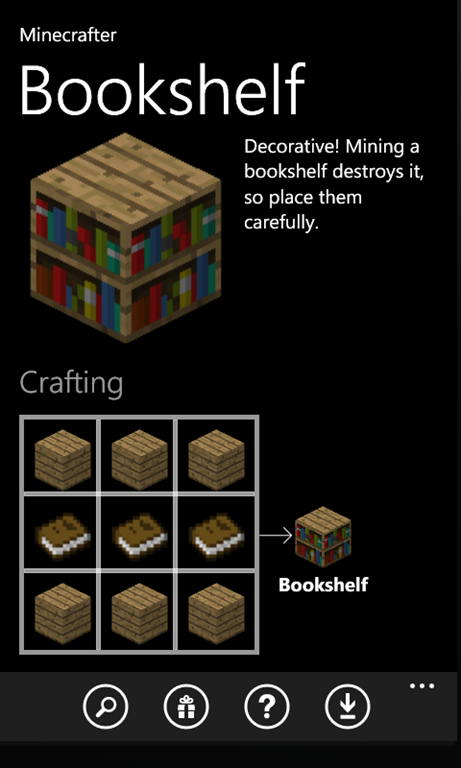 Minecrafter also comes with game guides to help you learn about some of the finer details of the game, such as how water behaves, and tips on how to place blocks efficiently. 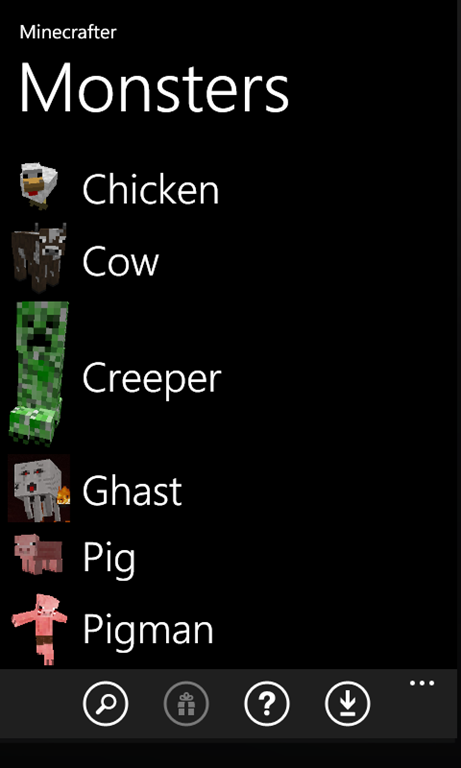 The guide list is currently small, but I will be adding to them all the time. 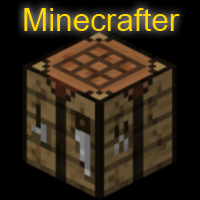 If you don't know, Minecraft is an up-and-coming adventure slash RPG slash strategy Java game. 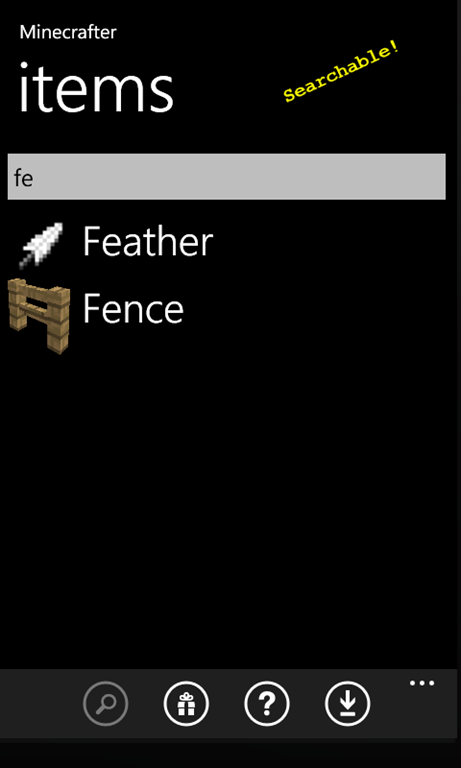 It is unique in that it's graphical style is almost comically simple and low-res. It's kind of like Q-Bert meets DigDug meets World of Warcraft. Yes, that's the perfect way to describe it :) But don't let the graphics fool you. 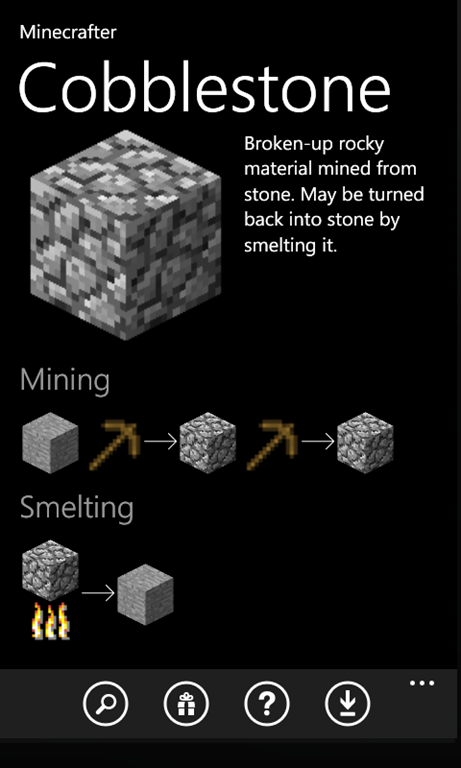 Minecraft is incredibly deep, addicting, fun, and its cup runeth over with potential. Visit the website to play a free version in-browser, or purchase the Alpha game at a discounted price. I highly recommend the latter -- the in-browser version does not do it justice, and you can't play multi-player, which offers a whole new dimension of fun (although is currently wrought with missing features that you get in single player mode, like the ability to DIE, although that does have advantages!). Seeing as how Minecraft is desktop-only, why not build a desktop companion? 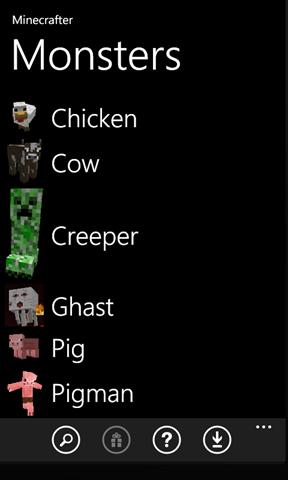 @haliphax: There's already the Minecraft Wiki for that. Having it on your phone is nice since you can play fullscreen without switching in and out of the app (not so bad if you have multiple monitors, but even then, it requires 'releasing' the mouse from the game).